Te Wharekura o Te Rau Aroha at Ngaruakura is located in the Matamata-Piako district in the Waikato region. In September 2007, Te Wharekura o Te Rau Aroha was formally established as a Te Aho Matua Kura Kaupapa Māori. 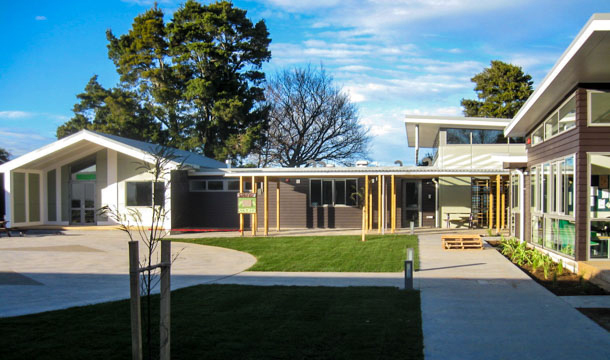 The celebration and official opening of the kura in 2008 reflected the strong commitment of the whānau who have worked effortlessly to provide a kaupapa Māori education for their students. The vision for the whānau and staff of the kura is to encourage all students to learn and reach their full potential. The whānau share a strong passion in making sure teaching and learning includes Ngāti Hauatanga and Karaitianatanga values and beliefs and the principles of Te Aho Matua. The kura curriculum provides authentic contexts for immersion teaching and learning. Marae visits contribute to the importance of whakapapa in establishing whānau, hapū and iwi links. The kura whānau selected te reo Māori as their kaupapa focus for this review. The objectives were defined specifically for te reo Māori and how it can best advance the language learning of Te Wharekura o Te Rau Aroha students. There is a clear emphasis on building a Māori speaking community. The kura is committed to helping students and whānau become competent speakers of te reo Māori. 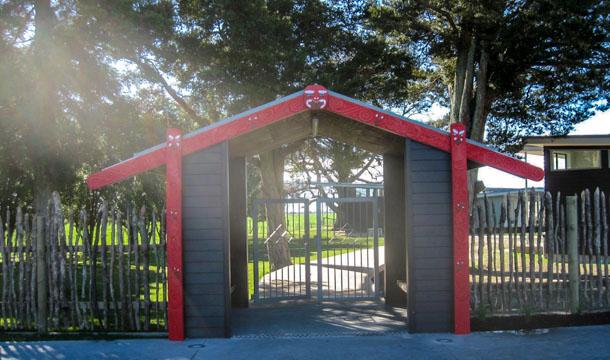 Students and whānau are encouraged to participate in a range of kura initiatives. This kura is a pilot for the Whakapiki i Te Reo programme organised by Te Whare Wānanga o Waikato. Students participate in wānanga and programmes that focus on raising the quality of te reo Māori. Programmes for wharekura students are based on Panekiretanga language programmes. The whānau is supportive and respectful of pouako who desire to be in a Māori immersion environment. This project included the relocation and refurbishment of an existing 100 year old school house and existing classrooms around the site. 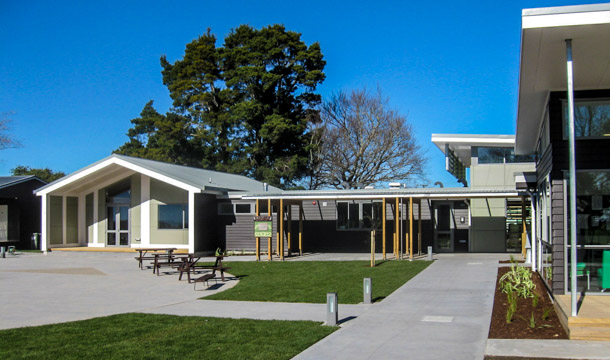 Works also provided for construction of 5 new teaching spaces an administration building staff room , a multi-purpose facility and a Whare Runanga. Decanting of the whole school to a facility off site whilst the existing buildings were relocated and renovated. This was followed by a recant into the completed buildings whilst still undertaking stage 2 of the build i.e. the new buildings. The budget was a challenge and value engineering prior to RDT joining the project had removed the funding for landscaping and sports courts/fields. RDT worked very hard with the school and the contractor to achieve savings and acquired external funding/donations to provide these facilities to the school. The Kura is a total immersion Kura and as such women are not permitted inside buildings under construction particularly the Whare Runanga. However, by working with the school, dispensations were able to be made for the Project Manager. 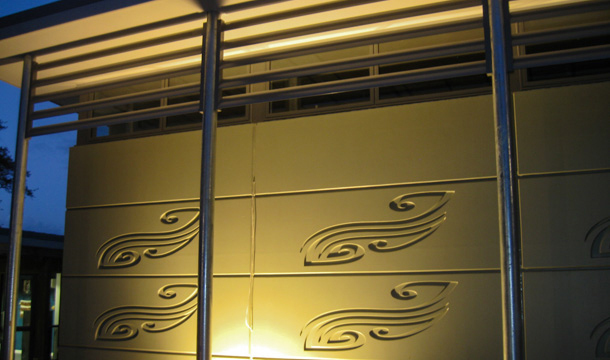 The site is on a very busy State Highway, therefore managing and health and safety was a key consideration. A civil works project on the state highway was also managed by RDT Pacific and provided widening of the state highway, turning bays, speed reduction periods and off road parking.